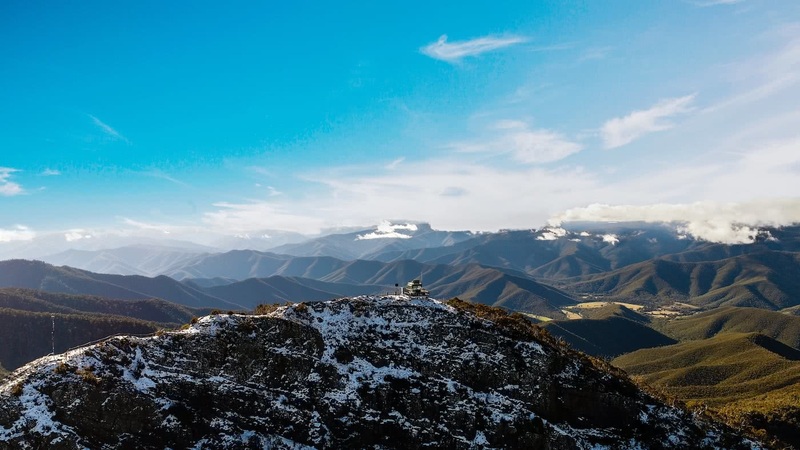 The Victorian High Country holds some of the world’s best 4WD destinations; with breathtaking panoramic views and stunning alpine scenery. It’s home to steep climbs and descents, plenty of water crossings and thousands of kilometres of tracks that are ever-changing. 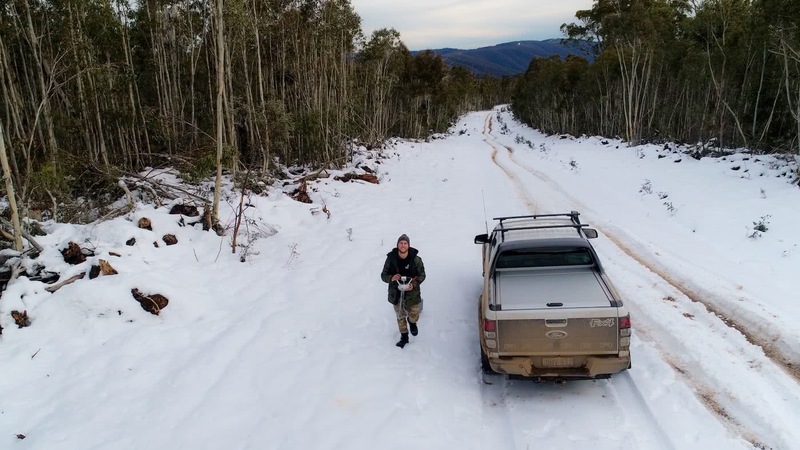 6 busy-with-work-and-life mates decided to take on a winter 4WD adventure through the alpine regions of the Victorian High Country in search of snow, solitude and good times. We all want to get more adventure out of our busy lives. We crave the sense of exploring something new and taking ourself out of our comfort zone. Being a weekend warrior but also a professional, myself and almost everyone else is short on time. We have priorities. Bills to pay, commitments to work, family and friends. But surely there must be more to it? I say, do yourself a favour and make some time for these adventures. Whatever it may be, you won’t regret it. Recently I bit the bullet and purchased my first 4WD because I wanted the ability to see some of the more remote and beautiful parts of Australia. Having friends that are avid 4WDers made the decision quite easy. After years of being a passenger on trips with my mates, I decided to treat myself. So, what happened next? 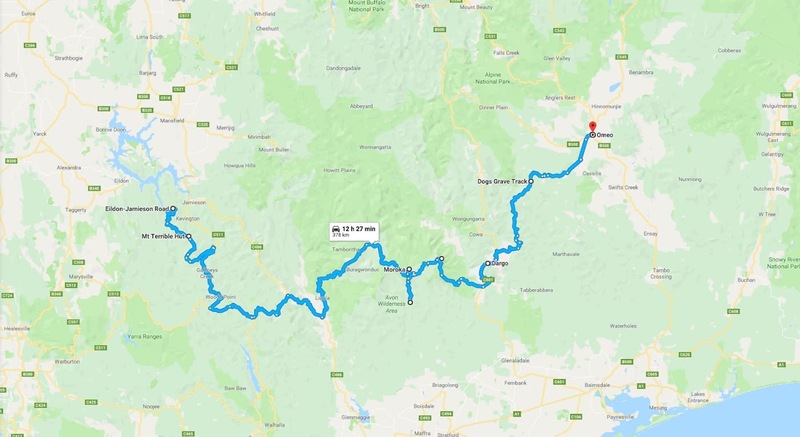 We set a date for a 5 day winter 4WD adventure through the Victorian High Country and we got planning. The idea of spending almost a week driving and camping in the snow was unsettling at first. Especially as this was my first winter 4WD adventure behind the wheel through some of the harshest terrain in Australia. A lot of planning and research was done to ensure the safety of everyone and luckily, one of our fellow explorers was a local who had years of experience in the area. We were in good hands. A few days before we were to leave Sydney, weather reports showed that more than 70cm of snow had fallen in the last few days. This built up our excitement even more! Stocked with plenty of water, food, fuel and excitement we were off toward our first destination, Mt Terrible, sitting at an elevation of 1325m. The anticipation was steadily growing between the convoy as we started to see more and more snow as we climbed in elevation. This was the very first time I’d ever seen snow! To say I was excited would be an understatement, it did not disappoint! After a few hours slowly making our way through the rain and snow-packed trails of the Alpine National Park, we stumbled across a hut which had shown up on our maps. Time to make some dinner and get some well-deserved shut eye. Despite being a run down, leaky and rustic hut, it still kept us relatively warm and dry. These huts are scattered throughout the Victorian High Country and most were built over 100 years ago. With the wild mountain weather, it often meant the difference between life and death to those travelling through the area. These iconic huts are considered part of the region’s rich heritage and it was a privilege to experience them. The next day we drove more than 9 hours to reach Doolan Plains, which sits at an impressive elevation of 1413m! The day had seen multiple recoveries due to ice and slippery conditions but the only thing bruised was our egos. The snow was so deep that some stages took more than an hour to travel 5 kilometres. Most of this time, we were driving through 30cm of snow! With no hut within a reasonable distance and the light fading, we made camp. This time we were out in the elements. We were completely prepared with the correct equipment rated for sub-zero temperatures, but it was still a shock to the body. The Following morning, we woke to frost-ridden 4WDs and frozen brakes. Yes, that cold! By midday we had reached the pinnacles Lookout; a 200m hike to the peak of the mountain gave us 360° panoramic views across the Victorian High Country from an elevation of 1500m. Without doubt, it was one of the best views I have ever seen. After lunch with possibly the best view of the Alpine National Park, we made our way down Billy Goat Bluff; a steep and challenging track that descends 1200m in only 7km. The views were absolutely breathtaking. The day’s end took us to Dargo, a place iconic for its pub and chicken parmigiana! We spent the night sharing stories, having a few cold ones, eating the best chicken parmy in Australia (in my opinion) and spent the night camping at the back of the pub. A day to remember. After breakfast and liquid courage to combat the cold (coffee), the day saw the convoy head north towards Cobungra. The winding tracks testing our ability with falling trees, deep muddy snow and icy conditions made for a slow journey. Eventually we made it to Dog’s Grave, a camping ground paying tribute to the link between drovers and their cattle dog. For almost a century between the 1840’s and 1932, dogs helped drove hundreds of cattle south for the 8 day journey to Dargo. A steep and treacherous voyage along the mountain track relying heavily on the skill of the dog. We paid our respects and made camp for the night in what can only be described as pure luxury. A recently built hut with a fireplace and no one in sight! It felt like our very own 5-star hotel. The next morning felt almost like a Monday morning before work. We knew the time had come to make the long journey home. That morning we all vowed to start planning for the next trip, this time in warmer weather! On our way out of the Victorian High Country, a few of us made the split decision to finish the weekend snowboarding, but that adventure will have to be told another time! 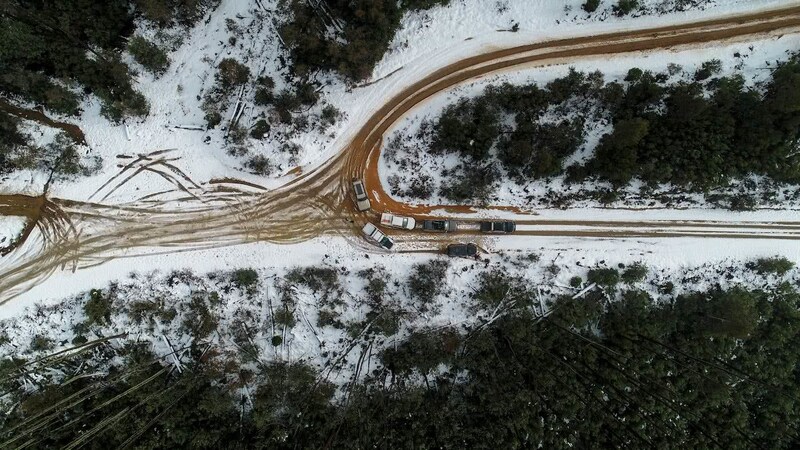 Through deserted moody pine forests, snowy mountain fire trails and muddy tracks we only scratched the surface of what the Victorian High Country has to offer. Would I do it again? Without a doubt! In fact, I’m planning to visit again next year with my wife. What did I learn from this winter 4WD adventure? Apart from learning how to drive across a multitude of terrains in heavy snow conditions and how to appropriately plan for such a trip, adventure travel feeds the soul and calls for more. No matter what it takes to get to amazing views and sceneries, it becomes addictive. Each time you explore somewhere different, you find yourself wanting to take on another challenge. So just take that first step. There’s an explorer in all of us. Here’s to your next adventure, wherever it may be. Plenty of food, water and warm clothes! Head towards Jamieson Brewery, south of Mansfield. 8 hours from Sydney, 3 hours from Melbourne. Stay on Eildon-Jamieson Rd for about 20km until you see the entrance to Mt Terrible Track on the left. There are hundreds of tracks within the Victorian High Country and it’s easy to get lost. Many of the tracks in the Victorian High Country are subject to seasonal closure so please be aware which tracks are closed over winter. This is the route we followed on our expedition. Intermediate/Advanced — Ideally a team with experience in 4WD recoveries and navigational skills. Correct preparation for such an expedition is paramount to the safety of the team. Our journey through the Victorian High Country included 392km of tracks over 5 days. 32 hours of driving was recorded. The highest elevation reached was 1500m above sea level at the Pinnacles lookout. An absolute must-see for anyone within the Alpine National Park. We acknowledge the Aboriginal Traditional Owners of Victoria – including its parks and reserves. Through their cultural traditions, the Bidawal, Dhudhuroa, Gunaikurnai, Jaithmathang, Taungurong and Nindi-Ngudjam Ngarigu Monero identify the Alpine National Park as their Traditional Country. Tim is an adventure seeker and weekend warrior with a passion for film and fun. From camping trips with his wife to spearfishing, mountain biking and 4WDing, Tim's a lover of all things outdoors and adventure.